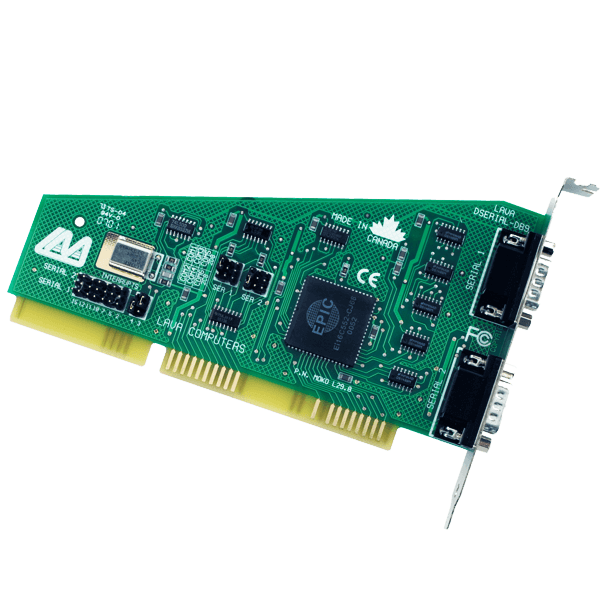 Ideal for systems where manual settings of IRQ and COM addresses is a must, the LAVA DSerial-550 doubles the serial ports in a system short on ISA slots. Offers a generous selection of IRQ and COM port settings to minimize potential conflicts in resource allocation. Each serial port independently configured as Com 1 through Com 6.